The right of appeal is a fundamental part of the common law system, yet for many years a comprehensive scheme of appeals for indictable matters was absent in the criminal law of England and Australia. A general statutory jurisdiction of appeal in such matters was only introduced at the beginning of the twentieth century, part of a general reform in criminal law at that time. In England, a Court of Criminal Appeal was established in 1907; in New South Wales, the introduction occurred in 1912 with the passage of the Criminal Appeal Act (the Act) and the creation of a court of the same name (the CCA). This issue of Sentencing Trends examines trends in appeals to this statutory court by convicted persons and by the Crown since the commencement of the Sentencing Act 1989.
with the leave of the court, against the sentence imposed following the person’s conviction (that is, against the severity of the sentence). The CCA also hears, inter alia, appeals concerning questions of law in stated cases, against quashing of an indictment, against interlocutory orders, and by the Crown in appeals against sentence (that is, against the leniency of the sentence). Whether an appeal to the CCA is an appeal against conviction, or an appeal either against severity of sentence by the convicted person or against adequacy of sentence by the Crown, the appeal is not by way of rehearing, and the bases upon which the CCA may intervene in any of the situations are narrow. For example, mere disagreement with the exercise of the discretion of a sentencing judge is not sufficient reason to intervene. provided that the court may, notwithstanding that it is of the opinion that the point or points raised by the appeal might be decided in favour of the appellant, dismiss the appeal if it considers that no substantial miscarriage of justice has actually occurred. In any other case, the CCA shall dismiss the appeal. Where the CCA allows an appeal against conviction, it may, subject to the special provisions of the Act, direct a verdict of acquittal be entered: s6(2). Alternatively, the CCA may order a new trial if, having regard to all the circumstances, the miscarriage of justice can be more adequately remedied in this way: s 8. (b) Appeal against sentence: On hearing an appeal against sentence, the CCA, if it is of opinion that some other sentence (whether more or less severe) is warranted in law and should have been passed, shall quash the sentence and pass that sentence in substitution, and in any other case shall dismiss the appeal: s 6(3). The sentence must be so manifestly inadequate as to be indicative of error or departure from principle. The court has stated on several occasions that sentencing judges are in a better position to assess a proper sentence than a court of appeal, error or breach of principle notwithstanding. Crown appeals against sentence have no traditional part in the administration of criminal justice under the common law. They were introduced in the Act in 1924. Section 5D of the Act provides that the Attorney General or the Director of Public Prosecutions may appeal to the CCA against any sentence pronounced by the court of trial in any proceedings to which the Crown was a party. Principles relating to the CCA’s approach to Crown appeals have been recited by the courts many times. 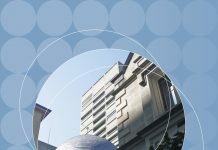 The High Court has stated that Crown appeals should be limited to the rare and exceptional case which involves a substantial matter of principle and which can provide guidance to sentencing courts. The Court will not interfere with a sentence merely because it considers the sentence to be less than the Court itself would impose. It only intervenes when it discerns material error in reasoning, or inadequacy that is indicative of error or departure from principle. In R v Moore Wood J held that the Crown should not invite intervention on the ground that the community might feel a sense of grievance because of disparity in sentencing co-offenders. The test of whether the Crown should intervene in a sentence is whether the sentence was manifestly inadequate. The court has also stated that the Crown has an obligation to assist the court to avoid appealable error. An appellate court has an overriding discretion which may lead it to decline to intervene, even if it comes to the conclusion that error has been shown in the original sentencing process. In this connection the conduct of the Crown at the original sentencing proceedings may be a matter of significance. If a Crown appeal against sentence is successful, and the appellate court resentences the respondent, it does so in the light of all the facts and circumstances as at the time of resentencing. Events which have occurred after the original sentencing may be relevant. The element of double jeopardy is recognised in the resentencing of an offender in Crown appeals. The sentence imposed will be somewhat less than the sentence that the court considers should have been imposed at first instance. Double jeopardy is so important a consideration in Crown appeals that the court may exercise its discretion to dismiss the appeal because of the unfairness or injustice which would otherwise be occasioned to the respondent. Further, when the difference between the sentence imposed at first instance and the sentence that would be imposed on appeal taking into account the double jeopardy element, is not great, the appeal may be dismissed. However, there is no tariff for the “discount” of double jeopardy and in some cases the sentence imposed by the CCA will not be less than that which ought to have been imposed at first instance. In other cases the discount may be substantial depending upon the circumstances of the case. “MUST DEMONSTRATE ERROR ON THE PART OF THE SENTENCING JUDGE IN ALLOWING A CONSIDERATION OF FACTORS SUBJECTIVE TO THE ACCUSED IMPROPERLY TO REDUCE THE SENTENCE WHICH WOULD OTHERWISE BE APPROPRIATE … BECAUSE THEY CREATE A SITUATION OF DOUBLE JEOPARDY AND BECAUSE OF THE VALUE OF THE TIME OF THE APPELLATE COURTS, THEY [CROWN APPEALS] SHOULD ONLY BE INSTITUTED WHERE THERE IS A REAL PROSPECT OF SUCCESS”. 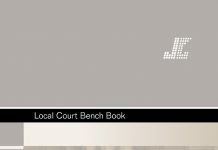 The Judicial Commission maintains the Sentencing Information System, incorporating first instance decisions in NSW jurisdictions since the introduction of the Sentencing Act 1989. 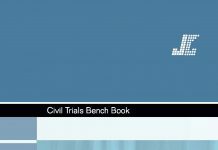 It recently integrated appellate outcomes in the Sentencing Information System and now has a separate database containing both successful and unsuccessful appeals from higher courts heard by the CCA since 1990. 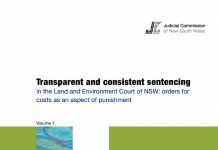 The data in this Sentencing Trends is restricted to appeals from first instance matters decided in the District Court of NSW and the Supreme Court of NSW. 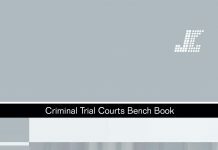 Approximately 3,064 cases or 11% of the total number of first instance cases heard in the District Court of NSW were appealed on sentence, on conviction, or by the Crown between 1990 and 1996. Figure 1 presents the total number of cases heard each year by the CCA and the success rate of those appeals. The number of cases dealt with in the CCA has slowly increased from 1990 to reach a peak in 1994 despite a corresponding decrease in the number of first instance matters dealt with in the District Court. One explanation for this peak, or rather, the dramatic decrease in 1995 in relation to sentence appeals, may be the commencement of the legislation introduced in July 1994, which provides that the CCA may consist of two judges when hearing sentence appeals where the Chief Justice is of the opinion that the appeal is not likely to require the resolution of a disputed issue of general principle. The Supreme Court reports that the introduction of this procedure has resulted in both an increase in the number of appeals heard and a reduction in time delays. Figure 2 shows the success rates for all appeals. Overall, nearly half (47%) of the conviction appeals were successful. The success rate for sentence-only appeals was approximately 37% for sentence appeals and 35% for conviction appeals. Figure 3 shows the types of offences appealed. Drug and sexual assault offences make up the largest category of offences appealed, followed by robbery and break, enter, steal/larceny offences. Assault and wounding, homicide and fraud offences comprise the majority of the remainder offences. Offences against the person make up more than half the number of cases heard. Both drug offences and offences against property represent one quarter of all cases heard by the CCA. Generally, the majority of sentence appeals are against drug offences, robbery or property offences. Appeals against conviction or conviction and sentence appear to be mainly against drug offences or sexual assault and homicide offences. Crown appeals are also concentrated in these areas: see Figure 4. Overall, offences against good order was the most successful type of offence appealed. Appeals against sexual assault offences (adults) were upheld in 50% of cases. Appeals against conviction and sentence for driving offences were the least successful of all offence types. Figure 5 shows the success rate of offences for Crown appeals. Crown appeals were particularly successful in dangerous and culpable driving offence cases. The maximum penalties for dangerous and culpable driving offences were increased in December 1994. The majority of Crown appeals occurred prior to this date, highlighting the need for legislative intervention. It may well be that this was because the statutory maximums were too low. Crown appeals against robbery offences were also relatively successful and there was a similar peak of cases dealing with these type of offences in 1994. Aside from the sentence indication factor described above, a case concerning the appropriateness of granting a Griffiths remand in the event of rehabilitation and reform whilst the offender is on remand in armed robbery cases was decided in August 1994. This may have effected the decision by the DPP to appeal other cases of this type, and in fact several crown appeals were on this point. Generally assault and wounding offences were successful across all years. Crown appeals against non-violent offences such as fraud, drug offences and break, enter and steal offences were not as successful. As stated above, conviction appeals were successful in 47% of cases (280 out of 594). Figure 6 shows the success rate for conviction appeals by the type of offence. The highest rate of upheld conviction appeals was 77% for offences against good order and 59% for fraud offences. However, there was only a small number of appeals for both of these offences (n=26 and n=34 respectively). Sexual assault offences were also relatively successful with conviction appeals being upheld in child sexual assault matters in 50% of cases, and in 56% of cases for other sexual assault offences. This result is not surprising given the evidentiary problems associated with these types of offences. There was a notable increase in the number of conviction appeals against sexual assault offences from 1990. Drug convictions also appear to be on the increase. Break, enter and steal and larceny offences showed a gradual decline in conviction appeals since 1993. In 64% of the 280 successful conviction appeals a new trial was ordered. Thirty-six per cent of cases resulted in an acquittal for the offender (n=102). Thirty-five per cent of conviction and sentence appeals were upheld (153 out of 432). Twenty-one per cent of appellants were allowed a reduction in sentence, 7% were granted a new trial and 7% were acquitted. Figure 7 shows the success rate for conviction and sentence appeals by offence type. The most successful appeals were for sexual assault offences, both adults (43%) and children (42%), and drug offences (39%). Most of these resulted in changes to sentence. Thirty seven per cent of sentence severity appeals were upheld (628 out of 1694). As shown in Figure 8, the most successful type of offences appealed were offences against good order (59%), fraud offences (42%), and robbery offences (43%). Homicide (24%) and dangerous driving offences (19%) were the least successful and the least likely type of offences to be appealed on sentence. Although there were fewer sentence severity appeals in 1991 and 1995, the rate of success was highest in these years. The introduction of a Court of Criminal Appeal by statute has allowed convicted persons to appeal in respect of both conviction and sentence and has allowed the Crown to appeal in respect of sentence. Figures since 1990 suggest that the number of appeals by both convicted persons and the Crown is gradually increasing. Success rates of each type of appeal fluctuate slightly, but generally appeals in respect of conviction and sentence are least likely to succeed, while Crown appeals are most likely to succeed, the latter likely because of the restrictive policy in respect of appeals maintained by the Office of the DPP. Appeals against conviction by way of writ and other actions are discussed by D O’Connor in “Criminal Appeals in Australia Before 1912” (1983) 7 Crim LJ 263. As to the correctness of the term “statutory court”, see the discussion by Mahoney JA in Zappia Bros PL v Dept of Agriculture (unrep, 26/10/92, NSW CCA). Gleeson CJ did not discuss the point and Badgery-Parker J specifically reserved his view. Sections 5B, 5C, 5F, and 5D respectively. The Act also provides for appeals from certain courts hearing matters in their summary jurisdiction, as well as in respect of summary offences related to criminal matters heard in the Supreme and District Courts: see ss 5A-5AD. R v Allpass (1993) 72 A Crim R 561 at 562 per the court. See also R v Macdonell (unrep, 8/12/95, NSW CCA) per Hunt CJ at CL. 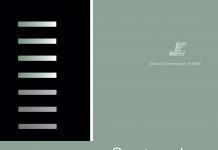 See M v The Queen (1994) 181 CLR 487 for a discussion on “unsafe and unsatisfactory” grounds of appeal against conviction. As set out in s 6(1) of the Criminal Appeal Act 1912 (NSW). See also Mraz v The Queen (1955) 93 CLR 493 per Fullagar J at 514; and for a recent example of application, see R v Deng (unrep, 17/12/96, NSW CCA). (1936) 55 CLR 499 at 504. Griffiths v The Queen (1977) 137 CLR 293 per Barwick CJ at 310. Griffiths v The Queen (1977) 137 CLR 293 per Barwick CJ at 310; Whittaker v King (1928) 41 CLR 230 per Isaacs J at 249; R v Majors (1991) 54 A Crim R 334 at 338, adopting the view of Lee CJ at CL in R v Salameh(1991) 55 A Crim R 384 at 394. Hunt J expressly agreed with Carruthers J at 339. R v Tait (1979) 24 ALR 473 at 475. Griffiths v The Queen (1977) 137 CLR 293 at 310 per Barwick CJ; affirmed by the High Court in Everett v The Queen (1994) 68 ALJR 875 at 878; see also R v Henderson (unrep, 5/12/94, NSW CCA) per Hunt CJ at CL at p 9. Griffiths v The Queen (1977) 137 CLR 293. See also cases such as R v Geddes (1936) 36 SR (NSW) 554, Everett v The Queen (1994) 68 ALJR 875, R v Osenkowski (1982) 30 SASR 212, R v Hayes (1987) 29 A Crim R 452,R v Tait (1979) 24 ALR 473; R v Dodd (1991) 57 A Crim R 349; and R v Allpass (1993) 72 A Crim R 561 for principles governing Crown appeals against sentences. R v Moore (unrep, 11/8/92, NSW CCA) per Wood J.
R v Tait (1979) 24 ALR 473. R v Allpass (1993) 72 A Crim R 561 at 562-563. See also R v Chad (unrep, 13/5/97, NSW CCA) per Hunt CJ at CL re conduct of the Crown and discretion to dismiss an appeal. R v Allpass (1993) 72 A Crim R 561 at 562-563. But in relation to sentence severity appeals see R v Fordham (unrep, 2/12/97, NSW CCA) per Howie AJ. R v Allpass (1993) 72 A Crim R 561 at 562-563. R v Holder & Johnston  3 NSWLR 245; Everett v The Queen (1994) 68 ALJR 875, see particularly McHugh J at 881. R v Moffit (1990) 20 NSWLR 114 per Badgery-Parker J at 129. R v Bang (Seung Ho) (unrep, 1/9/92, NSW CCA) per Hunt CJ at CL at 3. Prosecution Policy and Guidelines, Director of Public Prosecutions, New South Wales, 1991 p 8. This database is not presently available on the Sentencing Information System. In comparison with figures obtained from the Supreme Court Annual Reviews from 1990-1996, the database contains 92% of all sentence and conviction cases. Different counting methods may account for the discrepancy in numbers. The Commission is endeavouring to reconcile these figures. 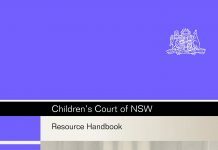 District Court of New South Wales Annual Review 1996, pp 35-36. Section 6AA of the Criminal Appeal Act 1912 (NSW). Annual Review 1994, Supreme Court of NSW p 41. This does not operate in Crown appeals and certain other types of cases. Annual Review 1994, Supreme Court of NSW p 42. Note also that in 1994 a number of Crown appeals were heard arising from the sentence indication scheme. Only six of the 14 Crown appeals on sentence indication were upheld. Offences against good order included, inter alia, escape from custody, resist arrest, pervert the course of justice. R v Tindall and Gunton (unrep, 5/8/94, NSW CCA). Hunt CJ at CL stated that the issue of importance in a Crown appeal in relation to the grant of a Griffiths remand is whether the circumstance of the offence and offender are such that, in the event rehabilitation and reform are achieved by the offender whilst on remand, a non-custodial sentence would be manifestly inadequate due to the objective gravity of the offence. Acknowledgement The author wishes to thank the Hon David Hunt QC for his perusal of this paper in draft form, constructively discussing its content and providing critical appraisal of its recommendations. 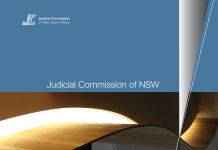 Disclaimer This paper was prepared by staff members of the Judicial Commission of New South Wales for the information of the Commission and for the references purposes of New South Wales judicial officers. The views expressed herein are those of the author(s) only and do not necessarily reflect the views of the Judicial Commission or of the Hon David Hunt QC.